Reach Millions of People online, quicky – with Google Places. One out of five searches on Google is related to location. An accurate Place Page is one of the easiest ways to stay visiable online. Yes, I would like to learn more about my Google Places. 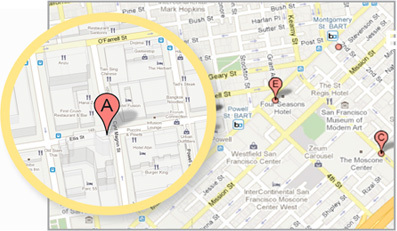 Google Places isn’t just a great way to help customers find out about your business. It’s also a great way for you to learn about your customers. Through your Google Places dashboard, you’ll be able to access important data and make smart decisions. How many people are searching for you on Google. What they searched for to find you. Which zip codes they’re coming from. How many people recently viewed your Google Places Page.